Jonathan Joseph, Gatland’s secret weapon? 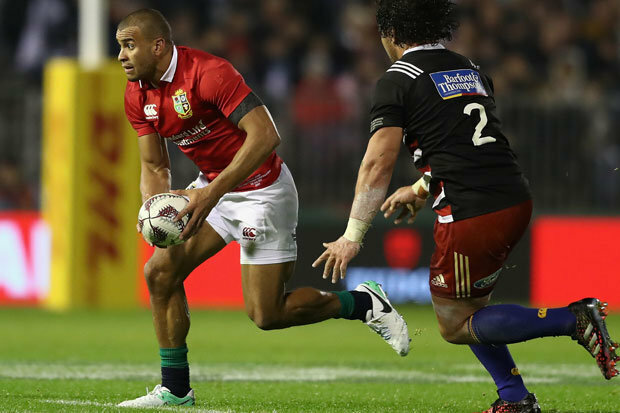 JONATHAN JOSEPH plans to be the British Lions game-changer and leave Warren Gatland with a selection poser for the Test series. The England centre faces The Highlanders this morning in an audition for a starting spot against New Zealand.Joseph forced himself into the Lions squad after Gatland decided he couldn’t make do without his ability in midfield. Now Joseph is keen to repay that faith as the Lions – who have scored just two tries in their three games – look for that cutting edge to cross the whitewash.He said: “I owe Warren a lot. I want to prove myself on the big stage and there’s no better place to do it. “I’m up for the challenge and I’ll do everything I can to put in a good performance. “A Test shirt would be an unbelievable honour, wouldn’t it? Gatland reckons the centre pairing is the toughest of his headaches as he plots his side for the first Test on June 24.